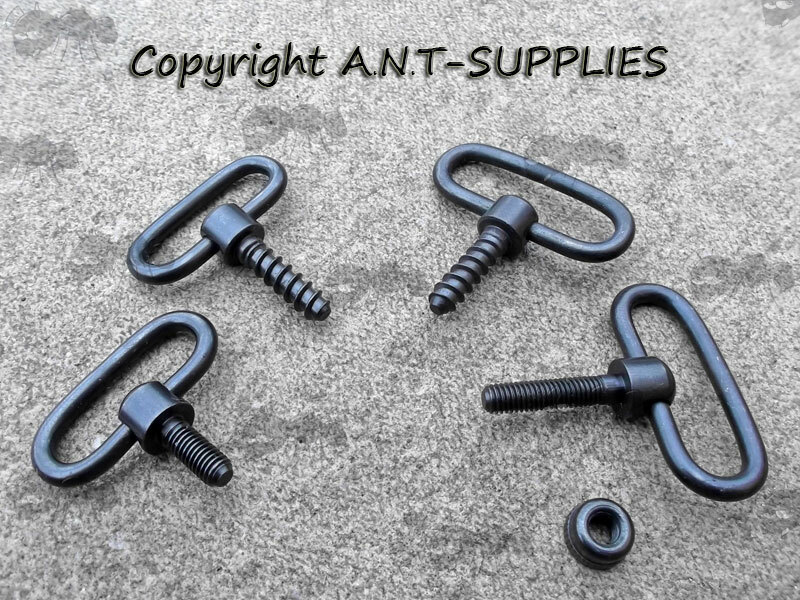 Gun stock fitting sling swivels. For 1 inch / 25mm wide slings. For 1.25 inch / 32mm wide slings. 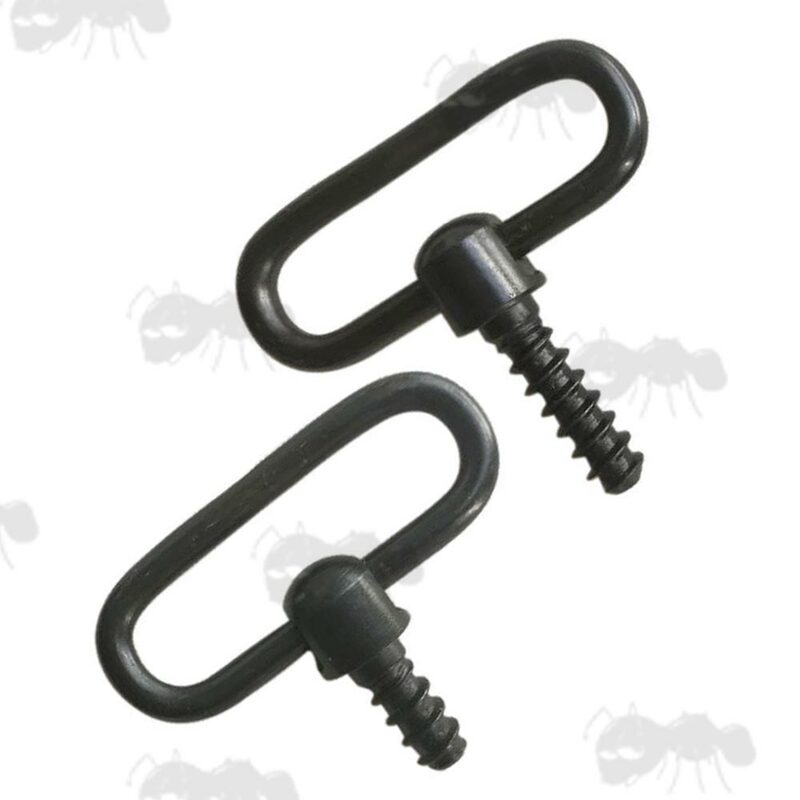 Non-detachable gun sling swivels with choice of all wood or wood and machine threads. 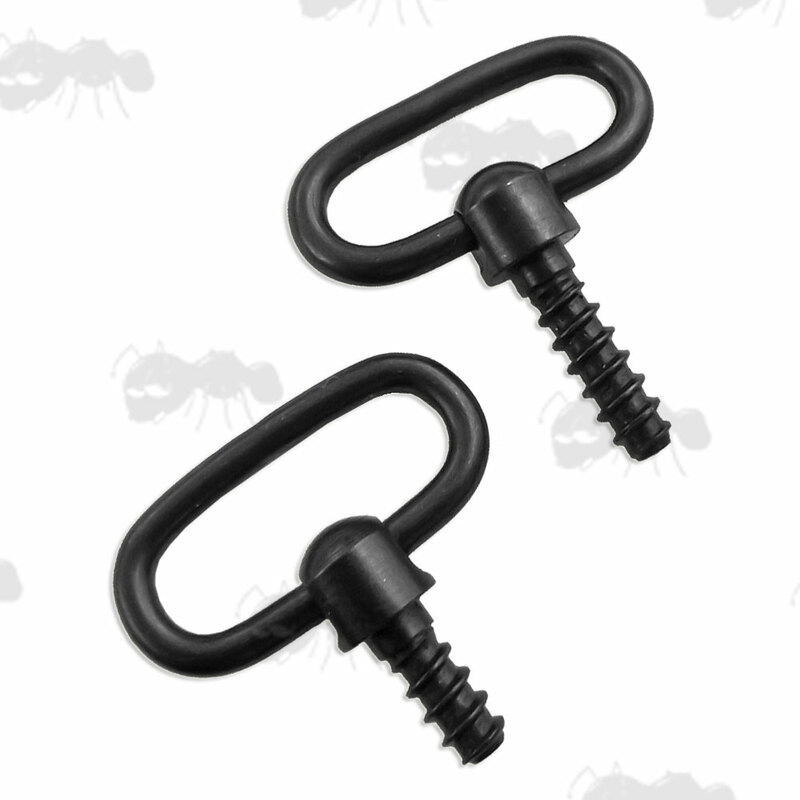 The 25mm pair of wood screw swivels have both 18mm long threads and the 30mm have one short 13mm and one long 18mm thread. The 30mm wood and machine pair has both a 18mm long wood thread screw for and a 18mm long machine thread screw (with nut. 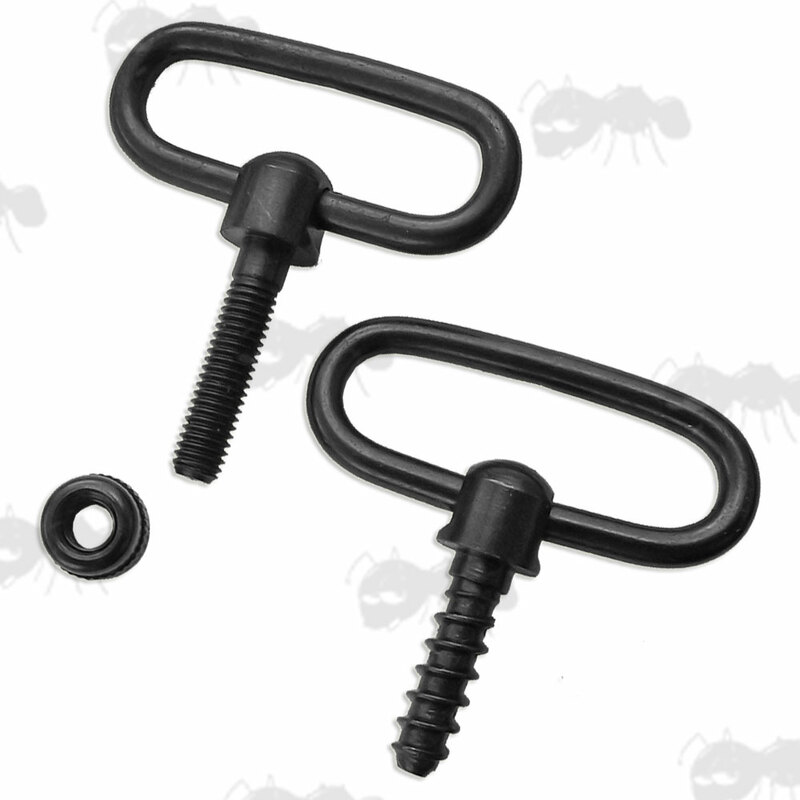 For most bolt action rifles with the machine screw forend and wood screw rear. The machine screw threads are approx 4mm diameter, imperial 10/32 threads (10 gauge/32 threads per inch). Also available ~ white spacer washers.